I don’t know about you but I’m done with freezing temps and ready to open my windows, put on my flip flops and start enjoying sunshine again. March is almost here and it looks like 2014 is off to a great start. Our website numbers are through the roof because of our digital edition and we couldn’t be more excited to once again offer it. Check it out at www.wilsonlivingmagazine.com and watch the pages and advertisements come to life. And while our digital edition is great, we are still paper gals at heart and are proud to bring you some amazing features about your neighbors in our print edition. One that really knocked our socks off was written by Sue Siens about local food ministry, Joseph’s Storehouse. It’s hard to believe that people go hungry every single day in our county but the truth is they do. But those who know the soul of our area, know that if there is a neighbor in need there is usually another neighbor willing to take care of that need. That’s the case with Joseph’s Storehouse Food Ministry. You will be amazed by how God has blessed Joseph’s Storehouse and the people it serves. Then we turn to another amazing man who served so many. A few months ago, this area suffered a great loss with the sudden death of Jere McCulloch. Those that knew him say this gentle man truly found the good life each and every moment of his day. He is dearly missed but his legacy won’t be forgotten. Another tribute this month is to our local women paving the way for our future generations. We thought a great way to celebrate Women’s History Month was to celebrate the women in our area who have taken lead roles in government. Check out our website, Facebook and Twitter for a video of the behind the scenes making of the Cover shoot. Then read all about these women, with their firsthand accounts as to what led them to politics and how they are afraid of nothing now. A new you, isn’t that what people always say in the New Year? 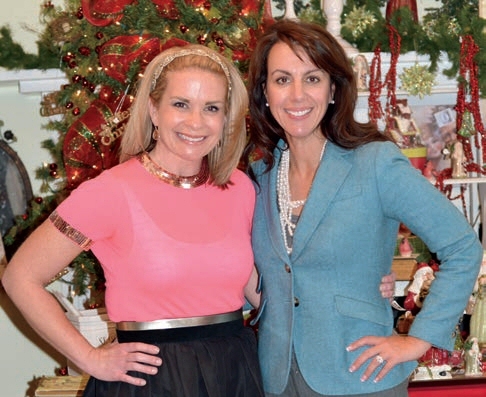 This issue, WLM’s Shelley Satterfield is about to enter 2014 with a new you from head to toe! Last year, Shelley decided to become healthier and we soon noticed a lively pep in her step. As a HUGE surprise, we enlisted the help of Sytle & Trends Editor, Erin Brown, who, in one fun day, transformed Shelley with skin care, make-up, fashion and some great styling tips. She looks phenomenal and is ready for all that 2014 has to offer! Of course, we are also packed to the brim with all our amazing In Every Issue columns including one from our newest contributor, Amber Hurdle. Be sure to check out her first ever, Q & Amber. One gem, however, we saved for the end is Finding Your Piece of the Good Life by Susan Bowman. Susan was our inspiration for this issue as no one embraces life like she does. Faced with unimaginable adversity, Susan has taught many what it means to get up anew each morning, counting your blessings and facing life head on. Now, not only is she sharing her story with our WLM readers but soon her life-story will be on the big screen, when her documentary One Red Stilleto debuts this Spring. WLM will be helping Susan host her premiere and we couldn’t be more thrilled to be part of such a moving tribute to the local first responders who saved her and her children’s lives. Finally, have you heard? We’ve gone digital!! Starting with this issue you can read Wilson Living Magazine as a “flipbook” on your computer, tablet, or phone!! You can also link through to each advertiser’s website. For now, this feature is completely free, so be sure to check it out at www.wilsonlivingmagazine.com and let us know what you think. We hope you enjoy every page, those in print and on-line! Easier said than done, right? The same could be said about letting that pile of dirty laundry wait while you cuddle with a stuffy nosed toddler or logging off of work emails long enough to eat dinner with your family. Who cares that the meal is ravioli?! That email can wait. Seriously! Unless you’re saving lives, there isn’t anything so important at 9pm that can’t wait until 8am the next day. Five years ago, several thousand Wilson County residents were introduced to something new. 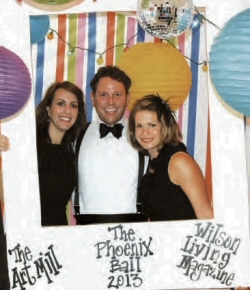 Wilson Living Magazine hit stands on October 31, 2008. When we started, there wasn’t a single staff member in place. In fact, we were the staff, along with help from a few close friends and family. We also had no “inventory” as the magazine business calls stories in the pipeline that are ready to be published. A 48-page magazine needed to be produced in eight weeks to hit our deadline. Talk about a challenge! But we soon had a terrific team assembled, and we did it, debuting what would become our annual holiday issue. An amazing group of editors and writers and artists and illustrators has been responsible for the last 31 issues. In the last five years, we believe WLM has been lively, provocative, thoughtful, and a fierce example of how one community can offer so many examples of what the good life looks like. Readers have responded resoundingly. We now get countless letters and emails, applauding what they like, castigating us (YES!) for what they don’t, most of them committed to being part of the journey no matter what. Judging by our increased circulation, readers have embraced both the new voices in the magazine and the seasoned ones. There are some terrific stories in this issue, and we urge you to savor all of them, from Ken Beck’s feature on the “sweet” candy makers behind Walker Creek Confections in Watertown and Erin Brown’s showcase on Wilson County’s Most Stylish women, to Brody Kane’s look at his high school class (along with Friendship Christian, Lebanon and Mt. Juliet High School) 25 years after graduation. It seems like summer was over before it started. Now it’s time for our favorite season of the year, fall! Not just because of the cooler temps and multitude of family activities, but also because fall means we are that much closer to needed downtime that the Christmas holiday provides. Bob and Pam Black. As only Ken can do it, you will read about the theater’s rich history and it’s amazing transformation. The photos will blow you away, as will the story behind the restoration. Thank you to Ken, Bob and Pam for allowing us to showcase this gem. If you haven’t been to Courtney’s Restaurant & Catering in Mt. Juliet, you will want to after reading Wilson Living Magazine contributor, Randy Rudder’s piece on the popular meat and three located in the heart of the City Between the Lakes. Just to make sure the food was all that Randy claimed, a few of us from Wilson Living had to visit the eatery to “test” the food. It’s delicious! Also included this issue, our newest contributor, Yancy Belcher tells us all about a popular car show in Mt. Juliet that brings out hundreds each week. Classic car owners and spectators alike converge in Chick-Fil-A’s parking lot in Providence Marketplace to enjoy the festivities which include music, contests, door prizes and of course, the car show itself. This family friendly event runs each Saturday through October. Finally, Style and Trends Editor, Erin Brown showcases some whimsical hair trends popular on the runway this season…think Great Gatsby meets Alice in Wonderland! Fall is all about drama when it comes to hair and makeup this season and Erin gives tips, hints and tricks on how to duplicate the looks featured in this issue. ONE MORE THING! Our 5th Annual Holiday Expo is right around the corner and at press time we have only a few booth spaces available. As always, we have another great event planned this year. For more information on the expo, visit www.wilsonlivingmagazine.com and click on the “Expo” tab or call us at 969-6751 for all the details. Summer is in full swing and we have been busy, busy, busy at WLM. From cover shoots to events to expanding our blogs and adding more videos to our website, www.wilsonlivingmagazine.com, to meeting all our new friends and readers in Smith, Trousdale and Macon counties, we haven’t had a chance to sit for even a minute! But that’s just how we like it, enjoying every fun minute of it. This issue we decided to celebrate all things Americana! Think about it, of all the places in the world you could be living right now, you are in the land of the free, home of the brave where everyone has the right to vote, to be educated, to practice their faith and to speak their mind. So many places around the world don’t have our advantages and we owe a debt of gratitude to our Veterans who preserve this country for all of us. In that respect we were honored to be asked to be a Sponsor for the Inaugural Wounded Warriors Project Run in Watertown, scheduled for July 27th. This event honors not only our local men and women who are out there fighting for our liberties each and every day, but also the families and friends who stay behind praying for their safe return. Be sure to read all about the Run and come out on July 27th to be part of this important event. The sun is shining, the pools are open, the kids are smiling and it’s hot, hot, hot! 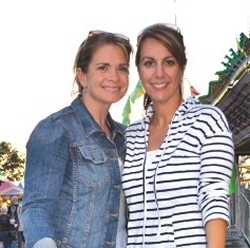 This issue Elizabeth Scruggs, Stacey Meadows and Erin Brown have you covered on all things summer – from fun activities for the kids, to great outdoor adventures for the family to the best skin care products to protect you while you are out and about. And you won’t want to miss Anna-Lee Cockrill’s “Finding Your Piece of the Good Life.” Anna-Lee is a good friend of ours and she put a new spin on our most-loved column. It will inspire you! We also need to say a big THANK-YOU to our gorgeous cover models. We had a blast working with these ladies and our amazing photographer Jana Pastors. Can you believe how fast we are approaching summer? It’s as if we blinked and half the year was gone! But I’m sure that you would agree that there is no better place to be during this gorgeous season than right here. In this issue, you will get to see all that amazing Tennessee beauty in our Home & Garden section. Dr. Scott & Mrs. Jean Ellen Baker opened their home to Wilson Living Magazine for our wedding shoot. Their home place, located in the heart of Lebanon, is a hidden away retreat. The exquisite house and the surrounding gardens are breathtaking! And, soon enough, many of you will see it in person as the Bakers are the hosts of Cumberland University’s Patrons’ Party. Be sure to get your sneak peek in this issue! While we are on the subject of breathtaking, be sure to check out our much anticipated Wedding section. To make sure readers get to see all of the hottest fashions, we decided to outfit two brides for this issue. Wilson County native, Erin Chambers, along with Miss Tennessee 2013 Brenna Mader spent the day knee deep in tulle and lace just to showcase the top bridal couture for readers. Many of you may also know the bridesmaids as well. Madison, Jolin and Maggie have been friends since they were two. They have grown up into stunning (and very-well mannered!) teen-agers and had a ball being our models this issue. A big THANK YOU as always to our WLM Styles & Trends Editor Erin Brown who pulled together all the latest information, styles and trends for the upcoming wedding season. And guess who is also in this issue? You will never guess! Ok, so we’ll just tell you. President Obama, himself!! Lebanon native Matt Gallant recently had the opportunity to meet him and gave WLM an exclusive interview about the experience. Of course, that is just the start, we are filled to the brim with great pieces this issue about many of your neighbors both from Wilson County and Around The Bend. Be sure to check out Ken Beck’s latest piece on one such interesting neighbor who makes Lafayette home. So on this beautiful day, find a comfy chair outside and enjoy all that this area offers within the pages of WLM. Until next time, keep reading!Until next time, keep reading! Ken Beck – Ken is a seasoned journalist with more than four decades of experience. He spent 31 of those years as a feature, entertainment and travel reporter as a Tennessean staff member. Ken has written numerous books including more than a half dozen about his favorite subject, Andy Griffith. Randy Rudder – Randy has a MFA in creative writing from the University of Memphis. Currently, he works as a writer/ producer for the Christian Broadcasting Network and a freelance entertainment writer. He is also the author of “Chicken Soup for the Soul: Country Music Edition”. Sue Siens – Sue has a long career in communications. She worked in healthcare, public relations and marketing, economic and community development, and has enjoyed many years of writing for a multitude of publications and audiences in both the public and government sectors. Brody Kane – Brody is a Wilson County attorney practicing with law firm of McBrien & Kane. He is past President of the Wilson County Bar Association, past President of the Lebanon Breakfast Rotary and is currently on the Board of Directors for Wilson County United Soccer League and is a Commissioner for the Water & Wastewater Authority. Roy W Harris – Roy is a writer, journalist and published author. Roy writes a regular inspiration column for Wilson Living Magazine and is a published writer in One Magazine. His book Caring for the Caregiver; a book designed to help those providing primary care for terminally ill loved ones, is now available in 27 countries around the world. Dr. John Gallaher – Dr. John Gallaher keeps us in the know about all the fabulous places to eat in and around Wilson County. John has been writing his restaurant review column, ‘Dining with Doc’ for nearly two years. Dr. Gallaher is an optometrist and owns and operates Gallaher Eye Care in Lebanon, TN. 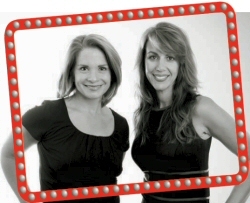 Elizabeth Scruggs – Elizabeth is a mother, business owner and entrepreneur. 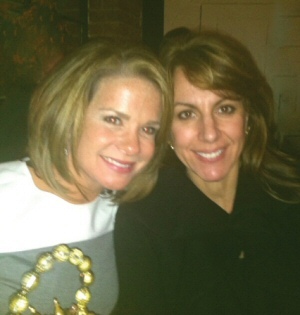 Elizabeth is a general contractor and owner of Superior Construction and Design. She is also a master organizer and decorator. Elizabeth is Wilson Living’s newest contributor. Get ready to read all about design, organization and remodeling in upcoming issues. A few things that make life a little better for Angel & Becky! Upon payment, please print your Paypal receipt and take it to Cox’s, your item will be ready and waiting for you. Please note that the 10% WLM discount is only available to our readers who purchase the item online. The offer is not available for purchases of the item directly purchased at Coxs. HAPPY SHOPPING!!! May is a time when most of us start to move the family dinner table outdoors. 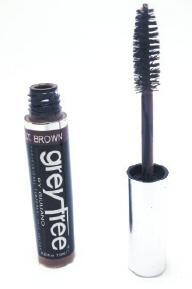 This is the perfect time to spotlight something Angel & Becky can’t live without in the spring, summer, fall or winter! It’s the Prodyne Serving / Salad Bowl set. Perfect for use both indoors and outdoors! 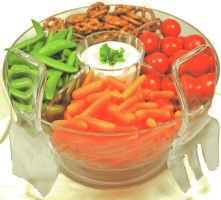 The cold bowl-on-ice acrylic serving bowl is great for everyday use or for entertaining. Simply fill the bottom compartment with ice and position the vented grate over the ice. The coldness will flow through to keep food in the main bowl chilled. The best part about this founders’ favorite pick is you don’t have to leave Wilson County to get it! And lucky for you, WLM has teamed up with Cox’s Gifts and Jewelry in Lebanon to offer this must have at a discount to our readers!! So, if you are reading this, you can safely conclude the Mayans were wrong! We survived and 2013 is here for the taking. To get us ready for all that 2013 will bring, we asked a group of local professionals to impart their knowledge on finances, estate planning, health, nutrition and organization. Be sure to check out these informative pages as their advice will prepare you for the wonderful year ahead. Music is in the air. Can you hear it? And it sounds like it is coming from Mt. Juliet. Both Randy Rudder and Ken Beck wrote wonderful pieces this issue about up and coming musical artists. It’s amazing the talent we have here in Wilson County and you will enjoy getting to meet your musically inclined neighbors this issue. Recently, I invited Jack Pratt and his lovely wife, Kalee, over for dinner. When they arrived, I asked Jack if he had any trouble finding our house. Jack laughed and said “I’m the Property Assessor, I know where everyone lives!” In an instant, he made everyone feel like we had known him for years and years! Jack and his family are well-known in the area because of their down-to-earth attitudes and their willingness to support this community. We have always admired Jack and were thrilled when he agreed to share how he found the good life in Wilson County with all of our readers. Valentines Day is around the corner, do you have any special plans for the day? Well, here is something out of the box – how about taking the Excursion Train to Watertown. Watertown continues to amaze us with its constantly changing and improving square. If you haven’t ventured that way lately, then you need to. Brody and I spent a wonderful Saturday in Watertown exploring the square, visiting with old and new friends and trying out their new restaurants. Everyone is so friendly in Watertown and the local artisans showcase some amazing products. We will be trying the Excursion Train ourselves, we hope to see you there! And be sure to check out Roy’s Reflections this issue. Roy inspires us to say, ‘thank you’to everyone from our past who shaped us to be who we are today and who we want to be in 2013. Can you believe it’s been four years since the very first Wilson Living Magazine made its way to homes across the county?! Since that issue came out a few days before the historic 2008 presidential election, and this one falls at about the same time, we decided to commemorate the occasion by showcasing support for our preferred political candidate, each other and the community we love, with this special anniversary issue. Take a look at our shirts on the cover! Maybe Wilson Living could teach Washington a thing or two about bipartisanship. Wilson Living was founded on the concept of introducing readers to new and familiar faces, extraordinary places and telling stories that encourage and celebrate Wilson County’s diversity and uniqueness. There’s nothing more unique and diverse than the group of folks who help us turn out each issue. Beginning on page 40 you can read all about our team and see that it takes a village to create Wilson Living. Staff writer, Sue Siens continues the political theme with her article introducing our readers to all the local candidates. Turn to page 30 for details on the incumbents and their opponents. Before you vote, you will want to know where these candidates stand on the issues that affect you! ln this issue, you’ll get all the details on the 4″‘ Annual Wilson Living Holiday Expo to be held on November 16, 17 &18 at The Mill at Lebanon. As always, we have a fabulous event planned with top notch vendors, free shopping bags filled with goodies, and of course FUN! The expo kicks off on Friday the 16″‘ with the Pre—Opening Gala. Tickets are $8 in advance and $10 at the door and can be purchased at wwvmwilsonlivingexpo.com, The Wilson Post or the main branch of Wilson Bank & Trust on West Main Street in Lebanon. Saturday and Sunday admission is still COMPLETELY FREE! just walk in the door and spend the day with us at this Holiday Shopping Extravaganza! No issue is complete without featuring the home and garden of a Wilson County resident and we were lucky enough to showcase Elmie and Herb Ruck’s home. The Ruck’s recently completed construction of their French Country style home. Trust us when we say the photos do not do this beautiful home justice. And be sure to read Ken’s piece this issue. Wilson Living Ken Beck is an expert at bringing stories that make you laugh, think, and sometimes cry His story about 13 year old, Mt ]uliet resident Andrew Kittrell is sure to inspire. Kittrell is training for a spot on the 2016 Paralympics Track and Field team. But it’s not just his goal of competing in the Paralympics that makes his story captivating. Kittrell was born with a condition that required doctors to amputate his left leg just below the knee when he was still an infant. As you prepare to usher in the holidays and New Year l hope you are reminded, as we have been at Wilson Living Magazine, about what truly matters: health, family and true friends! Ken Beck –Ken is a seasoned journalist with more than four decades of experience. He spent 31 of those years as a feature, entertainment and travel reporter as a Tennessean staff member. Ken has written numerous books including more than a half dozen about his favorite subject, Andy Griffith. Stacey Meadows – Stacey is our resident foodie. When she’s not cooking up a new recipe for Wilson Living readers to try, she works as a marketing & communications specialist for a regional CPA firm.